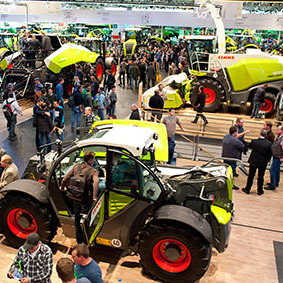 Press Photo: Agritechnica is the world's foremost trade-show in agriculture. 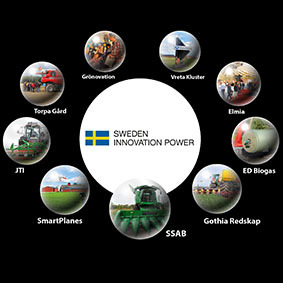 In 2015 a team from Sweden arrange the pavilion "Sweden Innovation Power". Place: Hanover: Dates: 8-14 November 2015. Stand: H03E18. Photo: Grönovation. 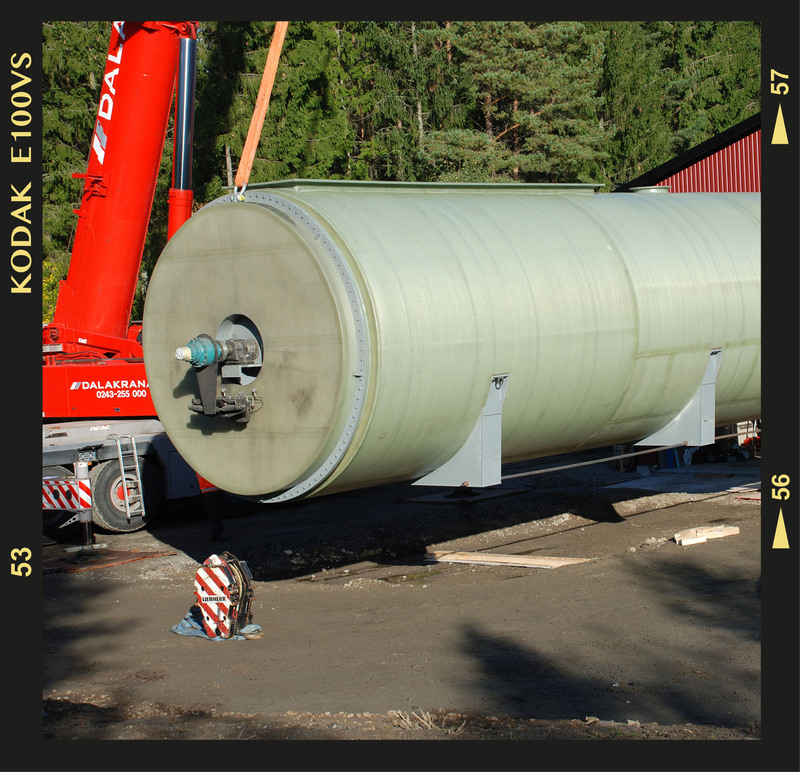 Press Photo: The new MR biogas reactor from ED Biogas is an energy solution for farmers wanting to produce their own energy. 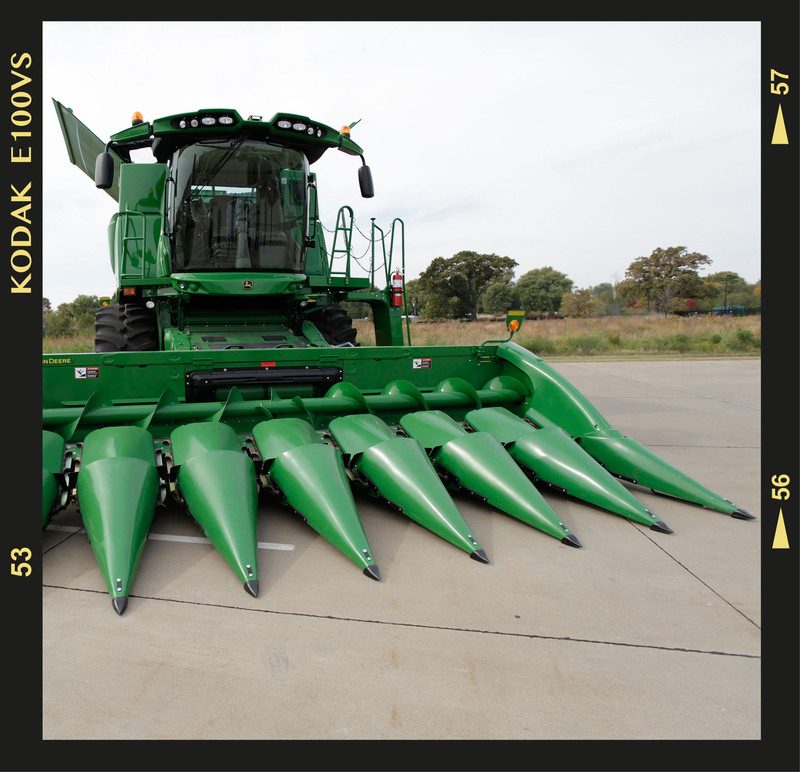 Photo: ED Biogas. Press Photo: High strength steel from SSAB means new types of construction that are both stronger and lighter. Photo: SSAB. 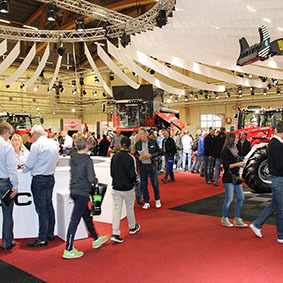 Press Photo: Elmia's fairs are a generator that inspires and drives development forward. Photo: Elmia. 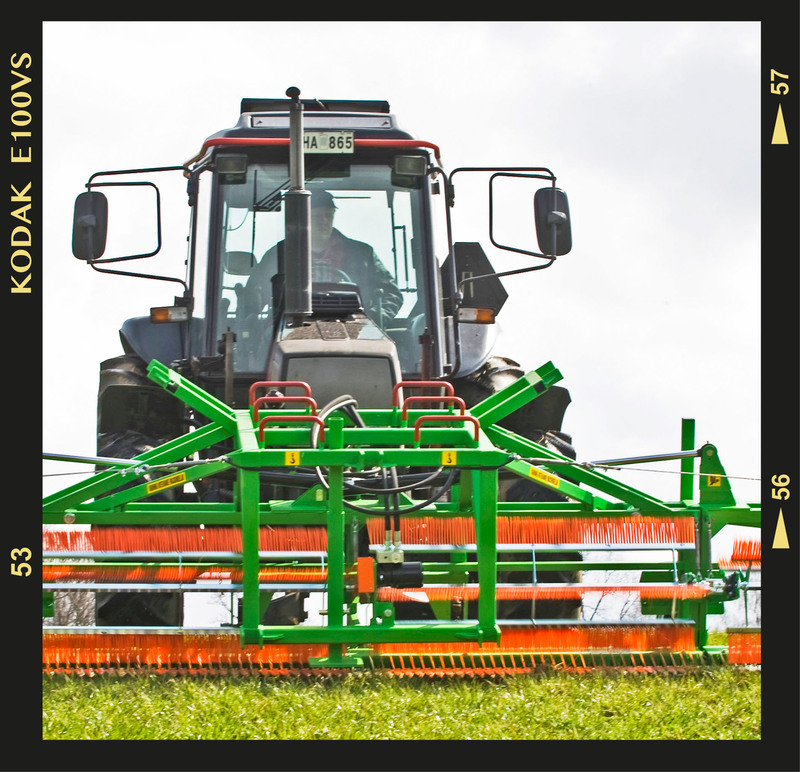 control which makes hoeing easier on bends and sideways inclines. Photo: Gothia Redskap. 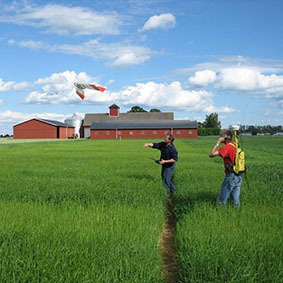 Press Photo: A dialogue between the academic and practical world is a hallmark of the research project Grönovation (coordinated by Linköping University). 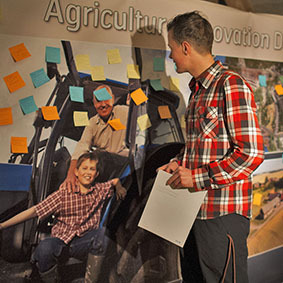 The photograph shows an "innovation wall" at Agriculture Innovation Day: 200 people from the academic and practical worlds met to discuss innovation in agriculture. Photo: Per Frankelius. 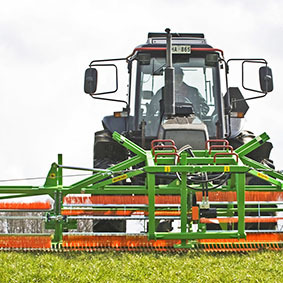 Press Photo: CombCut was voted Sweden's Rural Innovation 2012.It was developed by JTI in collaboration with Jonas Carlsson, a Swedish organic farmer. Photo: JTI. 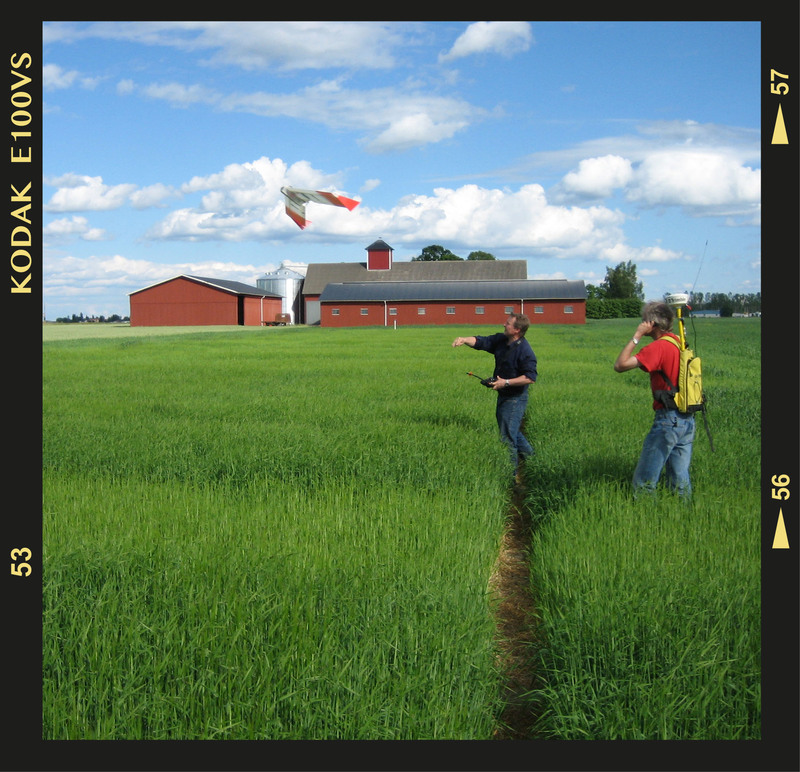 Press Photo: SmartPlanes offers a system for monitoring large areas in the form of a turnkey solution. 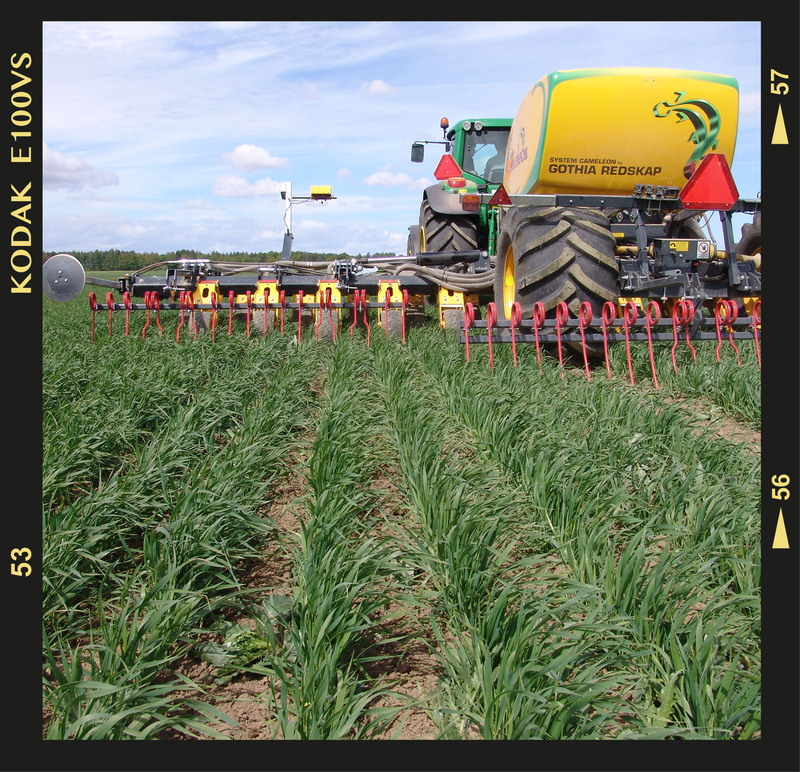 A complete package with adapted hardware and software for suppliers of field data and for end users in the green sector. Photo: SmartPlanes. 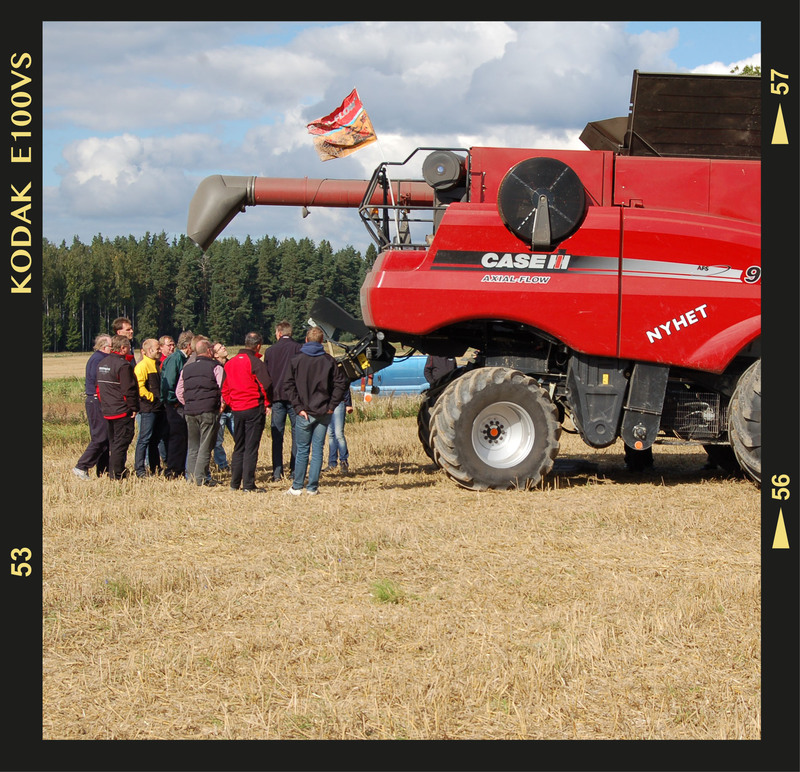 Press Photo: Torpa Gård offers mini fairs where companies can demonstrate their products in reality. Photo: Torpa Gård. Press Photo: Vreta Kluster offers an arena where companies interested in technical progress and business development can gain valuable capacity reinforcement. Photo: Per Frankelius. 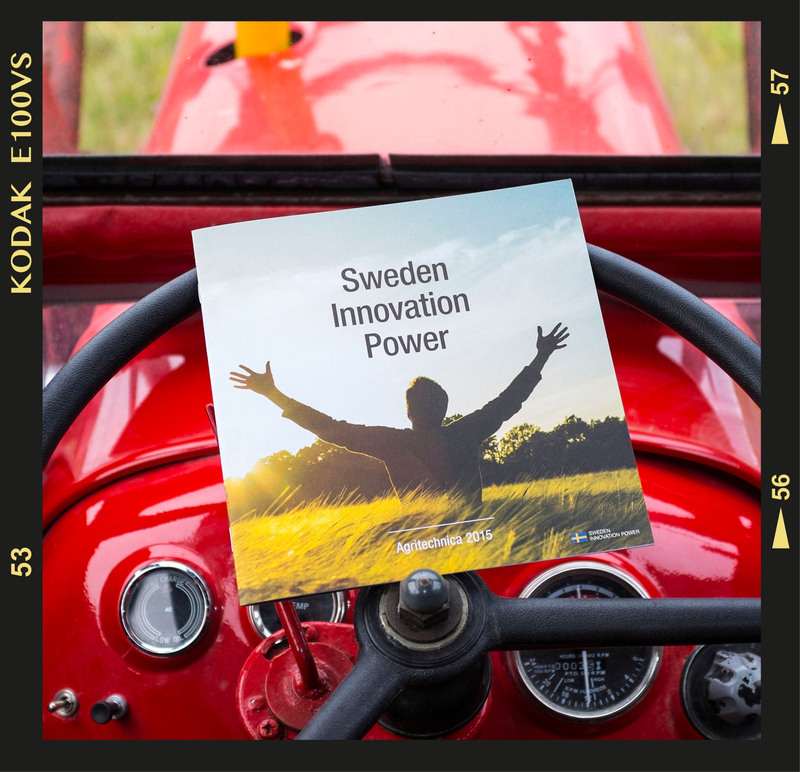 Press Photo: The booklet Sweden Innovation Power (by Elina Lejon, Elmia and Per Frankelius, Linköping University) presents 9 innovations and innovation promotors in Sweden. 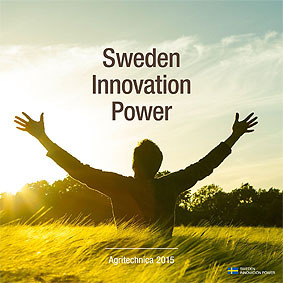 It also includes a reflection regarding agricultural challenges, the Swedish ecosystem for innovation and future developments. See pdf of this booklet. Photo: Per Frankelius. The parners forming the pavilion Sweden Innovation Power. 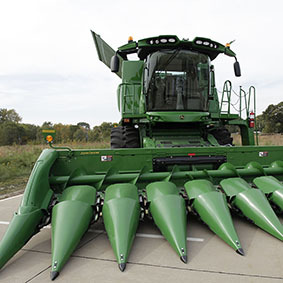 To meet the agricultural sector’s growing global challenges we need more than just improvements. The key is innovation. 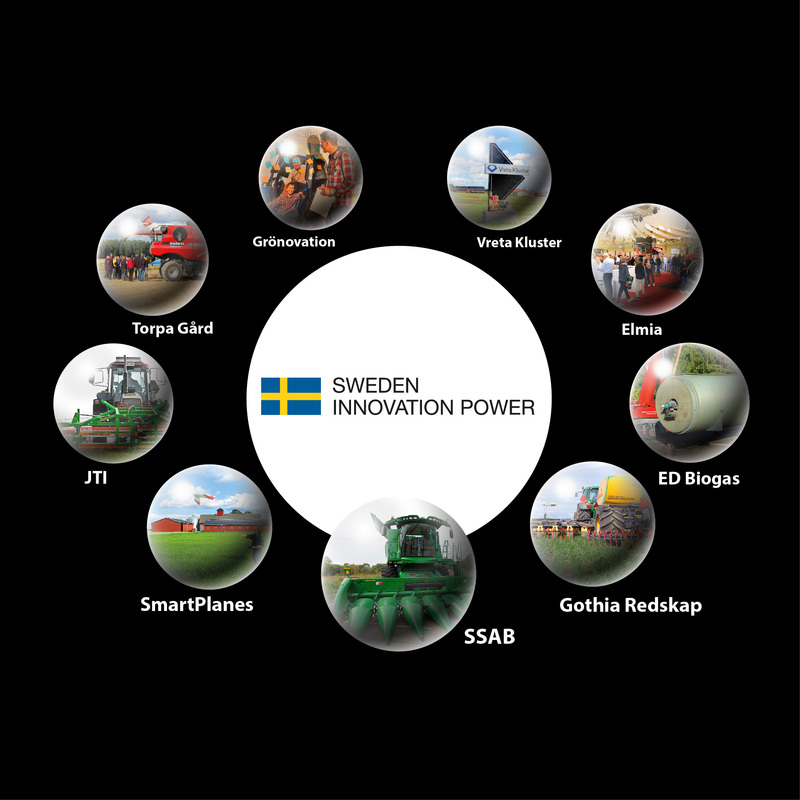 Sweden Innovation Power is a power cluster of nine innovative Swedish companies and organisations that are all helping to drive tomorrow’s agriculture. 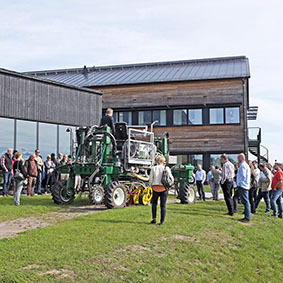 Sweden Innovation Power has a clear place at the world’s biggest agricultural trade fair because the fair is a generator that encourages development and innovation in the green sector. 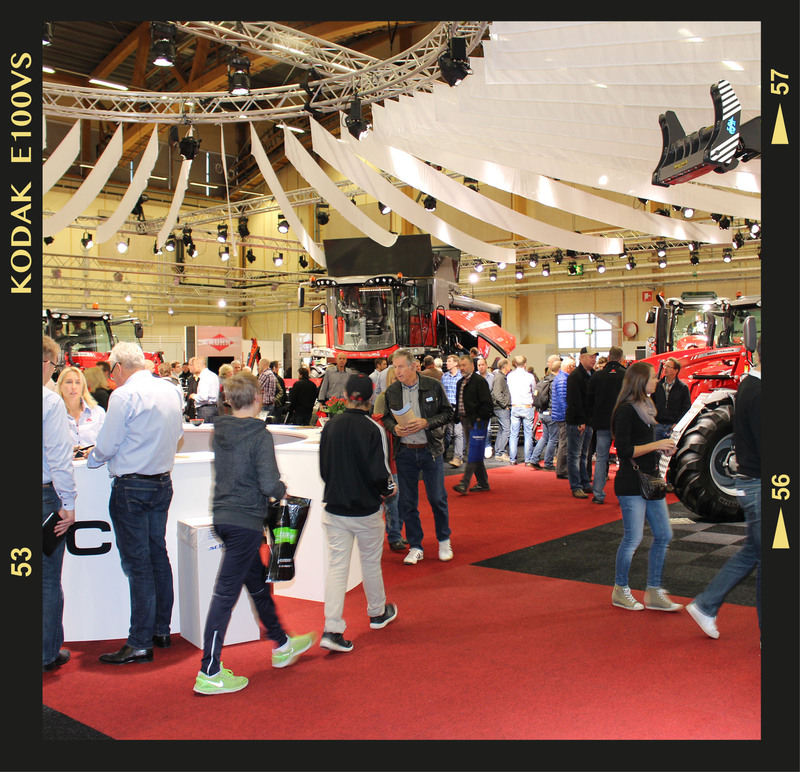 We welcome you to our pavilion at Agritechnica 2015! 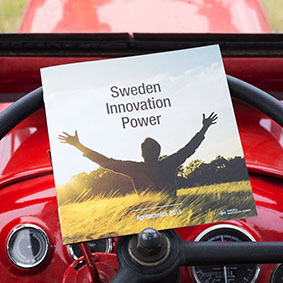 Read more about Sweden Innovation Power and its member companies in our booklet. See beta version of the general slideshow that will be presented in the pavilion. För att möta lantbrukssektorns växande globala utmaningar krävs mer än enbart förbättringar. Nyckeln är innovation. 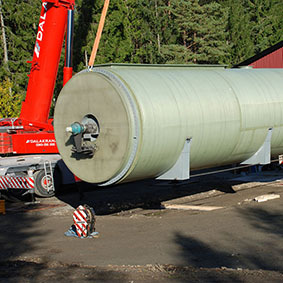 Sweden Innovation Power är en kraftsamling mellan nio svenska innovativa företag och organisationer som alla ger drivkraft åt framtidens lantbruk. Sweden Innovation Power har en självklar plats på världens största lantbruksmässa eftersom arenan utgör en generator som sporrar utvecklingen och innovationskraften i den gröna sektorn. 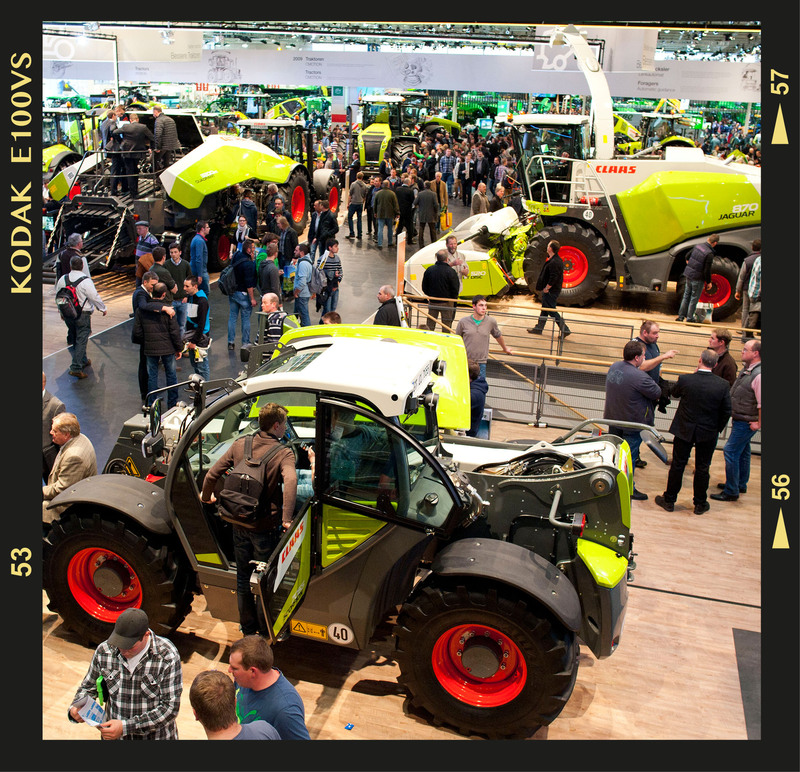 Välkommen att besöka vår paviljong på Agritechnica 2015! Läs mer om Sweden Innovation Power och företagen i den svenska versionen av vår skrift här.